13" Long. 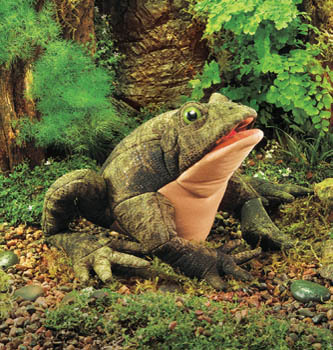 Warty and spotty, this Toad puppet's realistic appearance makes him the amphibian of choice for nature lovers. His floppy legs stretch when he leaps and fold up neatly when he crouches. Animate his mourth for fly catching, croaking, or kissing.